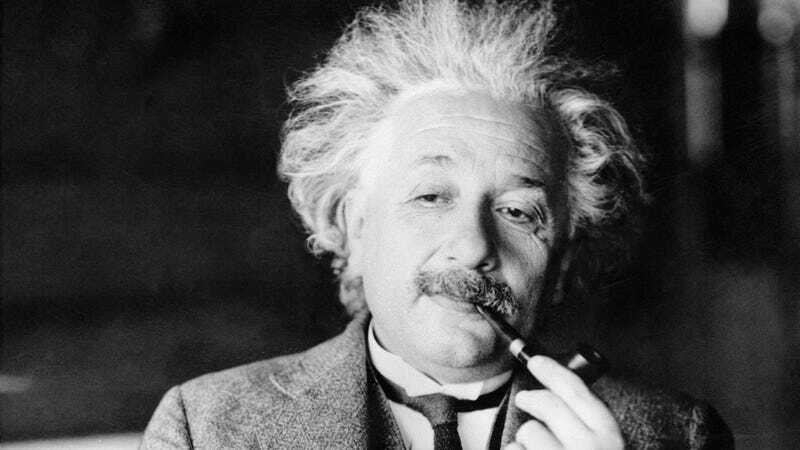 Physicist Albert Einstein, one of history’s greatest minds, has been proven right in the long term about a lot of things, like the continued success of his theory of general relativity to aspects of that theory which eluded detection for decades, like the existence of gravitational waves. Now he’s been proven right on his split decision to jot down some stuff on a piece of paper instead of giving a messenger a cash tip. Per the Washington Post, two short pieces of advice Einstein wrote for a messenger while on a 1922 lecture tour in Japan have sold for a combined $1.8 million at Jerusalem auction house Winner’s Auctions and Exhibitions. The seller claimed that at the time, Einstein had recently won the Nobel Prize in physics, and was “impressed but also embarrassed by the publicity” while staying at the Imperial Hotel in Tokyo. He also didn’t have any loose change, so Einstein wrote down two pieces of life advice for the messenger in lieu of a tip and told the messenger the notes would probably be worth more in the long run. At the time, Einstein was quickly becoming one of the most famous men in the world—though his esteem would only grow, with his later legacy including his work on quantum mechanics and somewhat infamously the atomic bomb. According to the Post, he left his papers to the Hebrew University in Jerusalem. Maybe Einstein meant his advice would be more valuable in a non-financial sense, but the auction still made bank. One of the notes, which the Post reported was written in German on hotel stationary and sold for $1.56 million, is the one in which Einstein laid out his purported theory of happiness. The physicist wrote, “A calm and modest life brings more happiness than the pursuit of success combined with constant restlessness.” It’s pretty good advice! The other note said “When there’s a will there’s a way,” an aphorism that Einstein definitely did not come up with, and thus sold for a considerably smaller $240,000. Which, fair. According to the Post, both the seller and the buyer chose to remain anonymous. Before you get any bright ideas, you’re not Einstein and you have to leave a cash tip. Sorry.